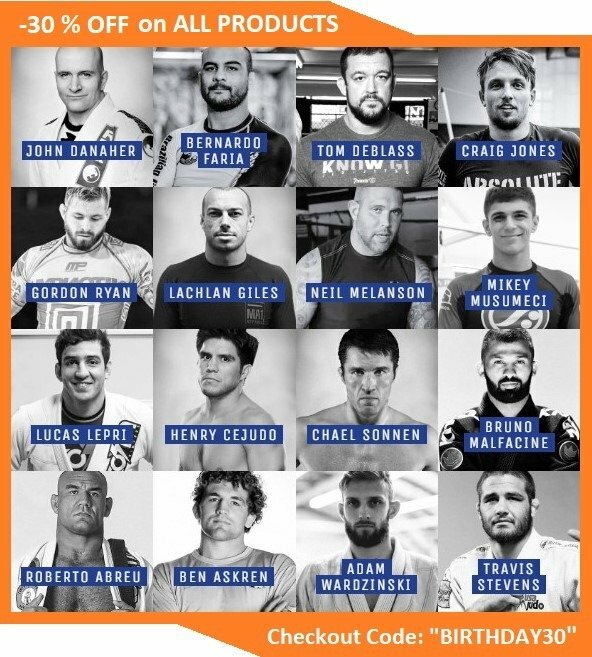 What’s the one thing everyone in Brazilian Jiu-Jitsu craves more than anything else? If you’re thinking “a black belt”, then you’re only half right. It is a belt, an eventually it is going to be the black belt. Yet, the one thing everyone wants more than anything is that elusive, very first blue belt. Even after you get it and progress up, even as you near your black belt, you won’t desire any other belt as much as you did your blue belt. While it is a well known martial arts cliche that there’s a lot more to a belt than just the rank, in BJJ these goes beyond a philosophical aspect. There are plenty of things you should know if you’re to choose the truly best BJJ belts for your grappling adventures. 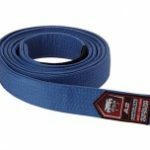 Buying a BJJ belt might seem like a mundane thing to do, You go online, check out the color you need and you’re all set until your next promotion. If it was only that simple. As you’ll see further on, belts in BJJ play a huge role in every aspect of the sport. Their size and material are going to influence how you execute techniques in a lot of situations. They’re even important from a defensive aspect, as they might turn into very effective handles for your opponent. On top of everything else, you have to make sure your belt is in line with tournament rulesets when you’re entering competitions. All in all, belts are an integral part of the Gentle Art, and nothing but the very best BJJ belts should good enough for you. In order to make things simple, we have another very in-depth shopping guide. 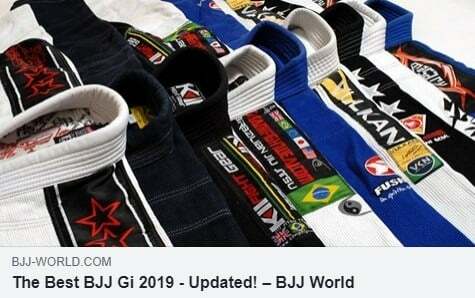 Consider this the only guide you’ll need to select the best BJJ belts not just in 2019, but well beyond too! This time we’ll explore all the BJJ belt options worth our while. 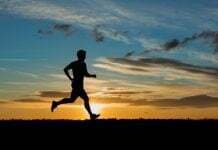 the goal is to figure out which are the absolute best for you. We’ll go over everything, from basics pros and cons to very detailed remark. 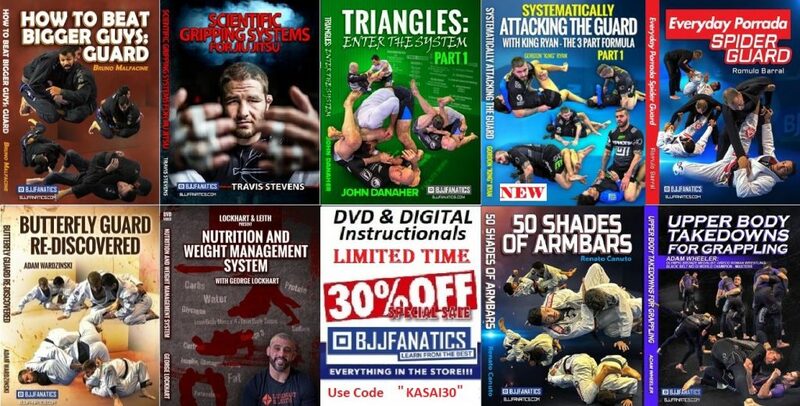 So, it is time to treat yourself to a high-quality piece of training essential this 2019. We have such a huge selection of the best BJJ belts that you’re bound to find an option or two that suits you perfectly! There’s no way we can look at the best BJJ belts and not feature a Tatami product. Tatami is the ultimate BJJ brand – they make everything you might need as a grappler. From Gis to rashguards, belts, to bags and backpacks. So, naturally, they’re one certain option when it comes to BJJ belts. The Tatami belts come in all regular BJJ grading colors. They even have all the kids’ colors covered. The real value of buying a Tatami belt is that it comes at a cheap price for the impeccable quality it offers. All in all, if you have a doubt as to what belt you should choose, or you are a complete beginner, go for a Tatami BJJ belt. You can’t go wrong, in any case here, as long as you get the belt length right. Sanabul is a company that, like Tatami, has a great price for a really good quality product. 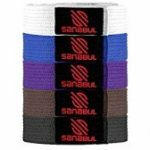 Sanabul’s belts come in all regular colors and plenty of sizes. Furthermore, they are thick, yet light, and extremely durable. The coloring is very solid, doesn’t fall off with washing and is easily distinguishable. Durability is this belts’ best feature. It is also on the IBJJF approved belts, making it one of the best BJ Jbelts you can own. The one and only thing that might turn some people away is thickness. While it is not a very thick belt, the Sanabul Jiu-Jitsu belt comes thicker than some other options on our list. And this is not a bad thing, it is just down to personal preference. Actually, despite its thickness, the Sanabul belt stays firmly in place even during particularly scrambly rolls. Another feature this belt boasts with is the material. It is made from antifungal and antimicrobial fabric that’s going to keep your belt germ free. Still, this is no excuse to wash it regularly! Although Gameness have the reputation of making particularly sturdy Gis, this is not the case when it comes to belts. Their line of belts feels unusually soft at the touch. While this is unusual, it is actually an advantage. The softer structure of the material makes Gameness belts virtually impossible to untie. The material in Gameness belts is ultra high-quality cotton, and they come in all the usual BJJ colors. As soft as they are, they’re extremely durable and strong. Wear and tear on these belts only shows up after a considerable time of extensive use. The colors are also very deep and distinct, plus they’re resistant to fading as a result of washing. That’s one less excuse for not washing your belt! An additional feature that merits mentioning ist hat the belt is a bit narrower than others, which only adds to its value as a belt with a near-perfect knot. 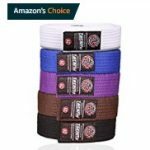 Similar to Tatami belts, there’s hardly a way to do a best BJJ belts review and not include Venum belts. Venum is one of the leading companies when it comes to BJJ specific gear, from Gis to belts and No-Gi stuff. The belts that Venum offers are 100% cotton of a very high quality. These belts are of the thicker variety, similar to the Sanabul ones. These belts are as durable as any on our list of best BJJ belts. they come in all usual colors and are resistant to fading. Venum usually includes a free patch as a gift with every purchase, if you do not have enough reasons to get one of their belts. Expect the belt to feel rigid in the beginning, but it won’t take long to break it in. This one is a real treat. As far as BJJ belt materials go, Hypnotic belts are original. They’re made out of the same material that Hynotik Gis are made of. That in itself guarantees durability and quality. They do feel strange at first and are somewhat wider compared to other Jiu-Jitsu belts. As far as durability goes, the material is a pearl weave Gi material, so forget about this belt ever falling apart. It’s also never going to come undone during rolling or competition. One thing that you should be aware of, is that it does shrink a bit with washing. So, if you’re about to get one, opt for a slightly longer version than what you regularly choose. Another BJJ classic, along with the lines of Venum and Tatami. Fuji is one of the most trusted Gi and belt companies in existence. Fuji’s belt might be considered as the gold standard for best BJJ belts. They are cheap, good quality, soft yet tight when tied. They also come in all possible Jiu-Jitsu related colors, albeit at a lighter version compared to most others. Also, IBJJF approved, getting a Fuji belt has no drawbacks whatsoever. The belt withstands washing and repetitive use without problems. They’re even pre-shrunk so they won’t get any shorter regardless of how often you’re washing them. Overall, Fuji is one of the all-time best BJJ belts out there, still holding on to the mantle in 2019! The Revgear belts are usually belts people have as backups. The main reason for this is not a lack of quality, but the price. The Revgear belts are the cheapest on our list, meaning they’re affordable enough to own as a second belt. Considering the quality they come at, it is a more than perfect second best option. 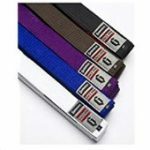 Every Revgear belt is made of cotton and comes at a standard width of 1.5 inches. Lengths are the same as Gi sizes, and it comes in an extended range of colors. This is yet another very durable belt that is going to last you a long, long time. As if all other belts are not Unisex, the Hayabusa is a belt obviously appropriate for both sexes. The true value of this belt, though, is in its construction. The Hayabusa is a particularly sturdy belt example, with a reinforced stitching along the full length of the belt. Moreover, its made out of gold-weave material, which means it’ll last you a lifetime at least. For such a reinforced and tough belt, it comes at a surprisingly lightweight. Ronin belts are the best looking of the bunch, at least when it comes to color. The stitching is usually a different color than the belt, giving them a very unique appearance. A strong and flexible belt, that is great for both training and tournament use. The price of Ronin belts is not as cheap as some of the others, but it is definitely worth it. These belts are not just stylish but can also take a beating. On top of everything, they make one of the best knots I’ve personally tied on a BJJ belt, period. Worth checking out and a great option to use for competition, while reverting to something like the Revgear for regular training. To wrap things off, we’ll go over the belts that one of the cool old Gi companies has to offer. Vulkan Gis are some of the best you can own, especially if you like to compete on a regular basis. This belt comes out of the packaging smooth and flexible, without any rigidity whatsoever. Six rows of stitching make it a very durable option. Scramble belts are thick, soft and fit perfectly from the first moment. They’re safe to place in the washer and are guaranteed not to shrink even slightly. All colors are available, and they’re IBJJF approved. The price of VULKAN belts is usually a bit above average unless you use the best deals available for Vulkan BJJ belts! The deal with belts in martial arts is pretty straightforward. In the beginning, all belts were white and had a very simple task – hold the pants up. In feudal Japan, as people spent years training their art, their belts got dirtier and dirtier, turning into “black belts”. Later on, Judo’s founder Dr. Jigoro Kano adopted the practice of white and black belt ranks. In the coming years, he improved on it, introducing other colors for a clear way of ranking someone’s skills. The Gracies then adopted and slightly modified, this basic Judo system of belts to fit the needs of Brazilian Jiu-Jitsu. Grading in Jiu-Jitsu is actually a bit simpler than that of modern Judo or Japanese Jiu-Jitsu. At least when it comes to adults. There are basically 5 belts that you need to get through to get to black belt. 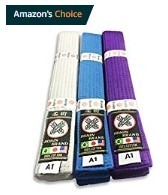 Those are a white belt for beginners, followed by blue, purple and brown belt respectively, for advanced students. Black is the belt of mastery, but far from the final one. Beyond it, there are two coral belts and the real peak of Jiu-Jitsu – the red belt. 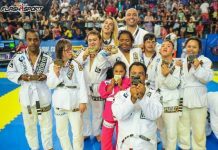 To be real, a black belt should be your one real aim in Jiu-Jitsu, as there are some huge time requirements for earning some of the coral belts. The earliest age at which you can get a blue belt is 16. Until then, you can go through the kids’ belts ranks, which start as early as four years of age. They feature an additional 5 belts (white, grey, yellow, orange, green) before graduating to a blue belt. From there on, about two years per belt is the average, meaning the earliest you can earn a black belt is after about a decade of training. From a technical perspective, there are certain things you need to know when you’re looking for a belt for you. The best BJJ belts have the common trait of excelling in each one of the following categories. First of all, uniform size. Belt length usually coincides with the size of your Gi. SO if you wear an A3 gi, for example, an A3 belt should be a good fit for you. The thing is, just like with Gis, different belts that are “same sized” are actually very different. Actually, a smaller or bigger belt size might be more appropriate for you than the one that’s identical to your Gi size. 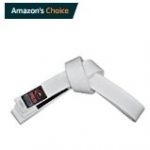 Furthermore, once you choose your favorite brand of belt, it is key that with each following purchase you get a belt that’s exactly the same size as you desire. Make sure you read the size charts everytime you go shopping for a new belt. When it comes to color, you might think there’s not much too it. Well, if you check out some of the best options out there, you’ll see that you can easily get confused. With some brands, blue and purple are so close that you might have a real hard time differentiating them. Make sure the belt you choose has a distinct color and shade. When it comes to the thickness of the belt, you need to be aware of two main aspects. The first is a comfort and the second it knot tightness. In terms of comfort, you’ll need to try on a few different belts to know which thickness is the perfect fit for you. As for the knot, expect it to come undone with every belt. the thing is, some belts provide a much more secure knot then others. Before we go on to explore what the best BJJ belts are and where you can find them, let’s look at a more individual aspect of selection. 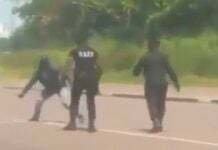 The first thing to have in mind is training experience. 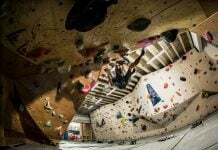 If you’re a beginner you should either ask an instructor or better yet, follow the suggestions we’re about to offer you. If you’re a more experienced student than make sure you know what you’re looking for in a belt. Comfort, length, potential tournament use, fabric, thickness etc. Your style of grappling is also a big determinant of the type of belt you choose. If you like to rely on using your own lapels for attacks, for example, you might want a belt that’ll release your Gi easily. On the contrary, if you like to prevent people from easily accessing your Gi, you need a tighter fit. If you’re a competitor, make sure you follow the Gi rules so that you do not need to buy another belt on the spot. Finally, consider the idea of having two belts. One can be for regular training, and it can be the most comfortable version of a belt for you. the other should be a more “official” one, for seminars competitions etc.